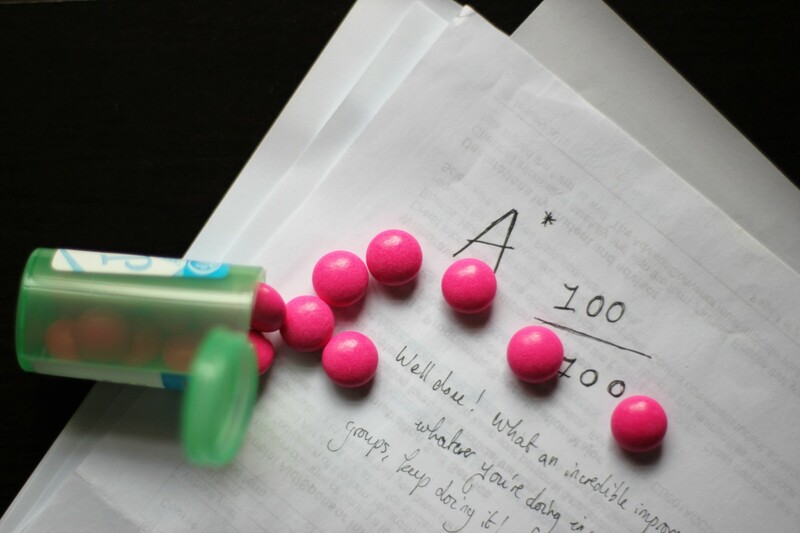 Is there any harm in taking performance enhancing Ritalin for an improved study session? Every student at some point or another has struggled to just sit down and finish that essay. When willpower eludes, some students opt to just fail, but others alter their brain with the concentration enhancing drug Ritalin, also nicknamed ‘professor’s little helper’. With studies estimating that 10%-15% of students globally misuse brain-boosting drugs to get higher grades, it’s vital to know how Ritalin affects you mentally and physically. Ritalin, otherwise known as methylphenidate, is a mood-altering drug. Traditionally, Ritalin is prescribed to people with learning disorders, such as attention deficit disorder (ADD) where sufferers struggle to focus on a single task because their brain prioritises every stimuli equally: Imagine being unable to focus on just one person’s voice at a crowded party. Ritalin fine-tunes the part of the brain associated with attention and decision-making. It lifts the “fluffy shroud” that clutters the brain and just lets you focus, comments J. Holcroft, a student who manages his ADHD using Ritalin. Ritalin gives ADD sufferers a break from their buzzing thoughts, but what happens when a healthy person takes it? Taking Ritalin without a valid prescription is illegal, but it is misused by students, athletes, workers, and anyone who needs to perform a rote learning task because it gives them binocular-like focus on whatever they’re tackling. Professor Barbara Sahakian, Professor of Clinical Neuropsychology at the University of Cambridge, adds that students misuse Ritalin for a “competitive edge” and to stay “awake and alert” when studying. On the surface, this brain-enhancing drug seems like a superhuman utopia. Brain surgeons could take it to focus during long-lasting, high-precision operations and save lives for example. But, with any drug, there are always side effects. Shaheen Lakhan, Chair of Neurology at California University of Science and Medicine, cautions that healthy persons may experience high blood pressure, insomnia, a high heart rate and palpitations when misusing Ritalin. There are only a handful of small-scale studies on Ritalin’s effects on healthy persons so the long-term side effects are still unclear. Professor Sahakian also notes that our brains consolidate the day’s information while we sleep, so students aren’t advised to use the drug to stay awake and study. It could even be counterproductive to learning. In high enough doses, it also leads to addiction. Silen, an engineer, suffers with Ritalin addiction after long-term use to help him process the huge amounts of data he manages for his job. He says “my health is deteriorating” due to his addiction, and he suffers from “extreme hypertension” as well as extreme loss of appetite, and high sensitivity to the cold. Silen’s experience demonstrates why some people decide to misuse Ritalin for weight loss, sometimes without consideration for the toll it takes on your health. Taking Ritalin for an academic edge can be tempting, but if you don’t have an attention disorder it is illegal. In fact, to deter students, Duke University, in the United State of America, introduced a policy classifying the nonmedical use of prescription stimulants in class and exams as cheating. With risk of expulsion. There are also wider social implications; Professor Lakhan questions how neuroenhancers fit in a society where there is “a clear unequal distribution of resources in academic settings.” If all of your classmates are misusing the drug, is there peer pressure to also take it for competitive grades? A particularly poignant question in South Africa, where the inequality gap would be pushed further apart as the privileged get access to brain enhancers. Would you take a brain enhancing drug to increase your grades, even if you had a neurotypical brain? Would you let a brain surgeon take these drugs while performing surgery? Explore the side effects of neurotypical humans and Ritalin in this article I wrote for Varsity. Challenge yourself to consider the potential changes in society we could experience if performance enhancing drugs became the everyday norm.